Uniqueness defines the Nissan Murano. This ultra-stylish luxury model is renowned as Nissan’s premium crossover vehicle. What really gives the Murano an advantage over other vehicles in Nissan’s current lineup is its style and comfort. This crossover’s interior and exterior style are very different from that of any other model in Nissan’s lineup. The Murano stands out on the road for its sleek, luxurious exterior style and wows drivers and passengers alike with its posh, comfortable interior. The updates to the Murano that are available exclusively in the 2019 model are subtle but notable. 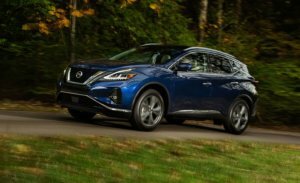 Keeping in line with its style-focused design, most of the upgrades to the 2019 Murano are related to style and comfort—although the 2019 model received some much-needed updates to safety and tech features as well. 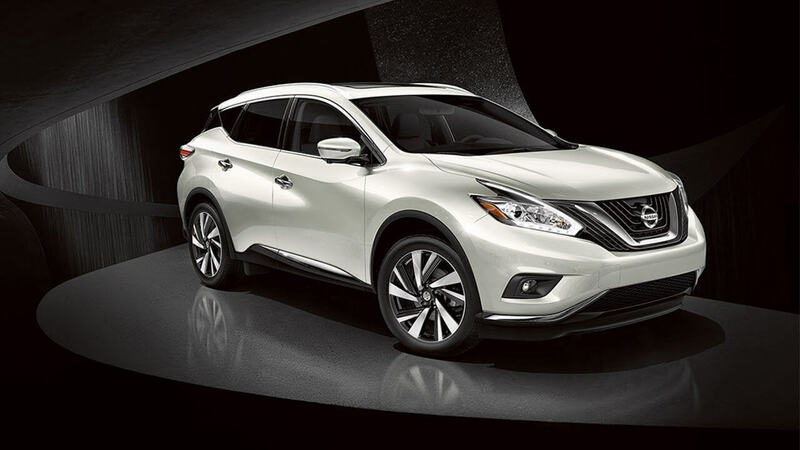 Nissan drivers love the Murano for its unbeatable posh style and ultra-comfortable cabin. Updates to the 2019 Murano model only improve upon these features that have already earned the Murano its reputation as a comfortable and stylish luxury crossover vehicle. Changes to the style and comfort of the new Murano are not glaringly obvious; the Murano received a subtle refresh for 2019. The Murano’s headlights and taillights were restyled for 2019, and its lower grille was refined and modernized. These subtle exterior style changes might not seem especially significant, but they definitely help the Murano appear more luxurious and streamlined on the road. As for its interior style and comfort, the 2019 Murano is available with additional, more luxurious and comfortable upholstery options. Its available Driver’s Memory System also adjusts the driver’s seat to your preferred position at the push of a button. This feature effortlessly increases your comfort while driving without having to worry about fiddling with your seat every time you get in your car after someone else has adjusted the driver’s seat. Climate-controlled front seats, a heated steering wheel, and automatic temperature and airflow control with directional air vents in the backseat are other small touches that make a big difference in the comfort and posh feel of the 2019 Murano. While the most apparent improvements to the 2019 Murano are the upgrades to its luxurious look and feel, safety and tech features in the Murano did receive much- needed updates for 2019 as well. In a world where incredible technological advancements have revolutionized the passenger vehicle industry, modern safety features that keep up with ever-advancing standards for safety in up-to-date vehicle models are a deal-breaker for many drivers. It is understandable that modern drivers are turning toward safety features to make or break their decision to purchase a specific car model. Drivers and auto corporations alike should prioritize the safety of a vehicle above all else. Consumer demand for higher safety standards motivates major auto corporations to incorporate up-to-date high-tech safety features as standard or at least add-on options in the new vehicle models they release. The 2019 Nissan Murano features new high-tech safety options that meet modern standards for safety in newly released vehicles. A host of driver assistance technologies are available in the 2019 Murano to offer peace of mind on the road for both drivers and passengers alike. These intelligent safety options include but are not limited to rear and emergency automatic braking with pedestrian detection to help you avoid collisions with other cars and pedestrians; intelligent lane intervention that helps you stay centered in your lane and safely change lanes; traffic sign recognition that keeps you appraised of changing speed limits and important road signs you might have missed; and intelligent cruise control that automatically maintains an appropriate speed and safe distance between your car and the car in front of you in order to streamline your highway commute without forcing you to constantly manually adjust your speed. Other notable updated safety features include forward collision warning, rear cross traffic alert, and blind spot warning. The 2019 Murano is equipped with Nissan Intelligent Mobility—Nissan’s state-of-the-art tech system that includes all of the Murano’s intelligent driver assistance technologies for safety as well as convenient high-tech features like a remote engine start system and Android Auto and Apple CarPlay connectivity for entertainment. Nissan Door to Door Navigation is also an integral part of the Nissan Intelligent Mobility system. This high-tech navigation system helps minimize driver distraction while monitoring real-time traffic and helping you get to your destination as efficiently as possible. Other updated high-tech features in the 2019 Murano include upgraded voice control options and additional USB and USB-C charging ports for effortless mobile device charging while on the go.